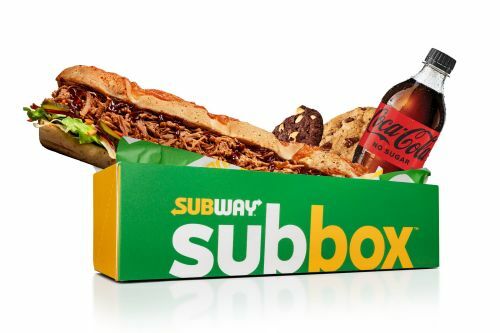 Menulog delivers for Subway - Reservoir so you'll be able to track your courier on a map. Premium smoked leg ham. Try with our seeded mustard. With creamy avocado and packed with your choice of wide selection of salads, cheese and sauces. Layered pepperoni and salami topped with our tomato marinara sauce and melty cheese. Our signature meatballs in rich tomato marinara sauce. Carved roast beef. Try it with smoky tomato chutney. Tuna chunks mixed with creamy mayonnaise. A veggie patty packed with vegetables, spices and bursting with flavour. Premium carved turkey breast slices. Try with our chunky cranberry relish. The Subway® signature Italian B.M.T.® with layered pepperoni, salami and leg ham. A popular meat-free option. Delicious falafel made with chickpeas, herbs and spices. Try it with zesty tzatziki sauce. Tender chicken breast strips marinated in our signature teriyaki sauce. Try it with our sweet onion dressing. A Subway® classic. A tender chicken patty with a flavour-packed coating. Tender breast chicken strips topped with flavoursome streaky bacon and creamy ranch dressing. A hearty chicken schnitzel made with 100% chicken breast. Chicken breast strips marinated in spicy buffalo sauce. Try it with the tangy blue cheese or creamy ranch dressing. Made with juicy diced 100% Aussie steak topped. Try it with our smoky chipotle sauce. A veggie patty packed with vegetables, spices and bursting with flavour..